Dixie Rosales was born in Tegucigalpa and is currently President of the Honduran Board of MDM and serves as the director of Admin and Finances. He also provides tutoring and homework assistance in Math, Physics, Accounting and English for MDM’s after school program. 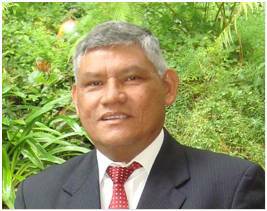 In June 2008, Mr. Rosales joined LTCare Ministries in Honduras in an administrative capacity. In January 2009, Dixie started full time with LTCare overseeing the ministries operations and started, in a volunteer bases, helping MDM providing the ministry with advice on admin and legal matters. Prior to joining LTCare, he was a teacher in one of the private schools in Honduras and was on the pastoral staff of one of the largest churches in Tegucigalpa. He has been married to Gloria for 33 years; they have three children and recently had the blessing of their first grandchild. Mr. Rosales has a degree in accounting and another degree as High School Math and Physics Teacher. 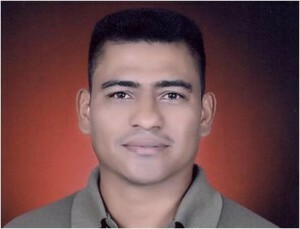 Juvenal Acosta was born in La Ceiba, Honduras and has been the Director of Education for MDM since 2011. Mr. Acosta has been with MDM since 2008 and has been instrumental in the building of the after school teaching program. Previously, he taught architecture classes at a private University UJCV and worked as a Graphic Designer at a well known newspaper in Tegucigalpa. Mr. Acosta was selected to be a scholar of CAPS (Central American Peace Scholarship in 1988) by US AID to study in the USA from 1989 to 1993 and graduated with a BA in Graphic Design in UTEP. Mr. Acosta recently obtained a M.S. in Administrative Education. 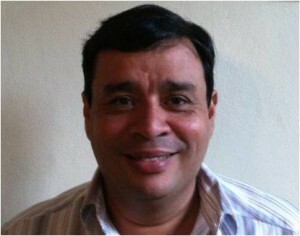 Francisco Alvarado was born in Tegucigalpa and is currently the Director of Development for MDM Honduras. He also serves as a representative for Love Truth Care Ministries and Operation New Life in Honduras. Previously, Mr. Alvarado was the Founder and CEO of Gestiones Empresariales de Honduras, which provide consultancy, advice and services in the fields of Marketing, Management, product development and services with social and commercial potential. He has also worked as a manager in other industries within the region. Mr. Alvarado has a Master’s degree in Business Management with Marketing Orientation from Central American Technological University (UNITEC) as well as a degree in economics from National Autonomous University of Honduras (UNAH). Wes & Renee Jones have been married for 25 years and have four children: Clay, Codi, Tyler and Will. Wes is a graduate of Louisville High School in Louisville, MS and a graduate of Meridian Community College in Meridian MS. He is Board Certified in Radiology, Computed Tomography, Nuclear Medicine and Nuclear Cardiology. Wes has worked for Cardiology Associates of North Mississippi for 15 years. 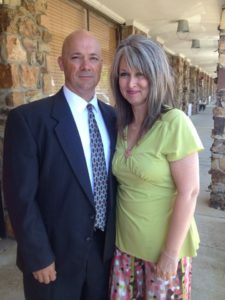 He has also pastored bi-vocationally in west Alabama and east Mississippi for 16 years. Renee is a nurse and because of their medical background, have always believed the Lord would use them in missions one day. After Wes’ first mission trip to Honduras in July of 2013, he knew the Lord had plans for him in this country and for these people. In March of 2014, Wes stepped down as the pastor of Community Baptist Church, where he had served for almost 10 years and in April of 2014, he joined the MDM team to help build and coordinate teams to Honduras. He is looking forward to what the Lord has in store for MDM in the future. 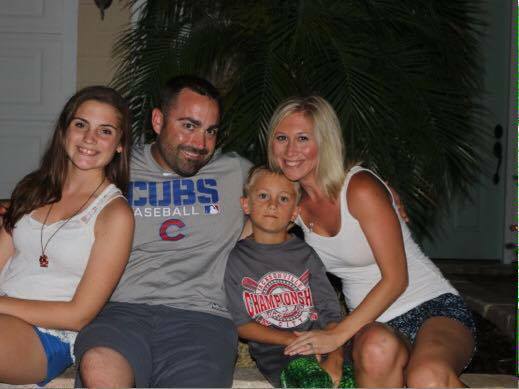 Nik and Dana Severidt have been married 11 years and reside in Jacksonville, Florida. Nik owns his own website design and internet marketing business. Dana works in the administrative department of Volunteer Services, at Wolfson Children’s Hospital. They, with their two children, attend Celebration Church. Nik and Dana’s connection to Honduras is a story of how God has connected two families, one generation to the next, to serve the people of Honduras. Seventeen years ago Nik’s uncle, Dr. Larry Severidt, began traveling to Honduras on medical mission trips. Dr. Severidt now leads residents from Broadlawns Medical Center to Hospital Escuela in Tegucigalpa each year. Dana’s grandmother, Elizabeth Sundstrom, felt called to purchase an ambulance to bring patients to the hospital from the mountain villages surrounding Gualcinse after hearing about the need from Dana’s aunt, who regularly visited Honduras on mission trips. Elizabeth purchased the ambulance in memory of Dana’s grandfather, Carl Sundstrom. Today, Nik and Dana are actively involved with MDM through missions, beginning in 2013. Together they bring a rich heritage of sowing seeds of hope and love to the ministry of MDM. They’re excited to partner with a movement of God that has so widely impacted the people of Honduras and them personally.